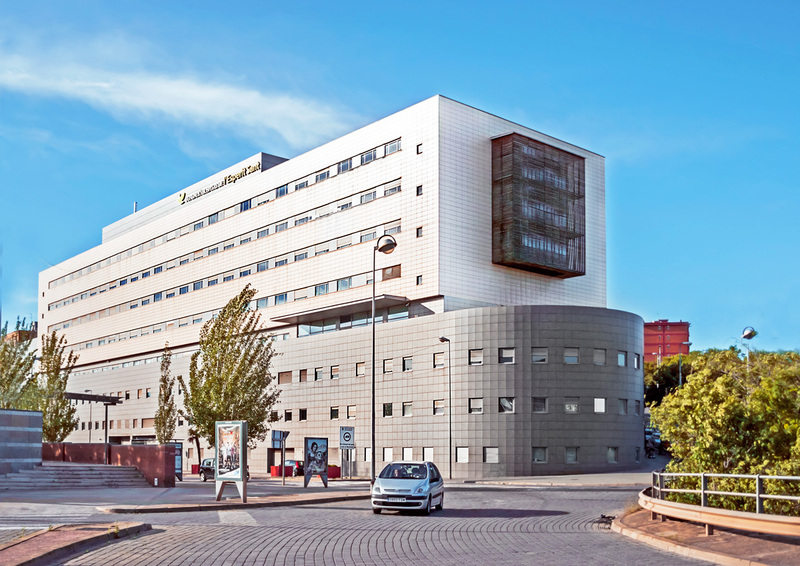 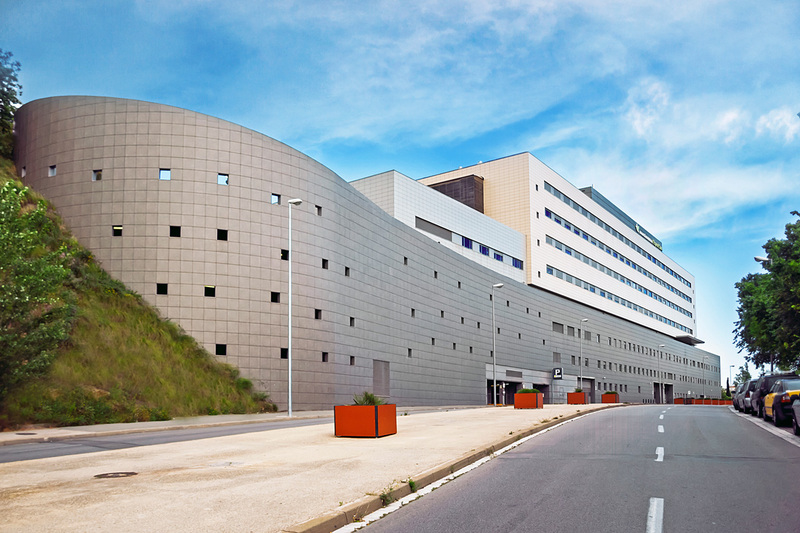 The hospital has 200 beds and 390 parking spaces. 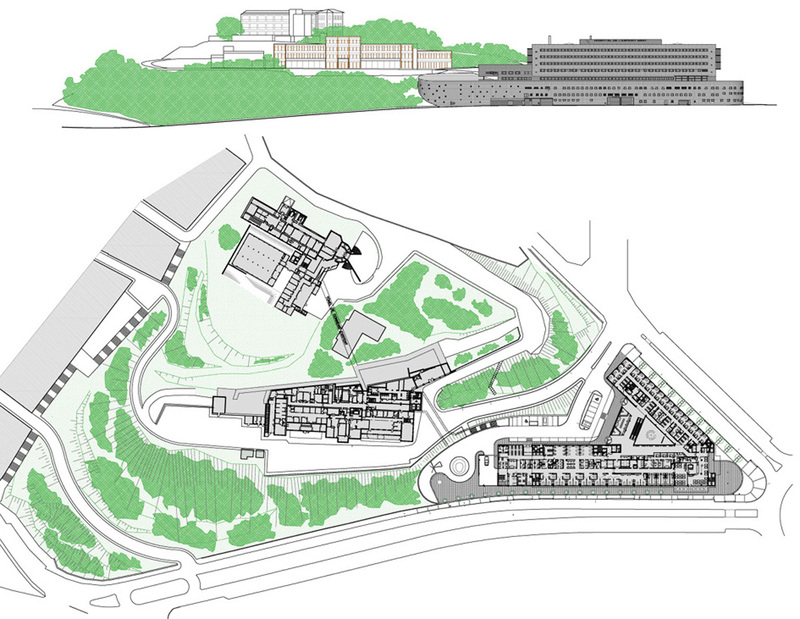 The triangular area created by the arrangement of the two blocks is a covered public space that marks the hospital’s main entrance. 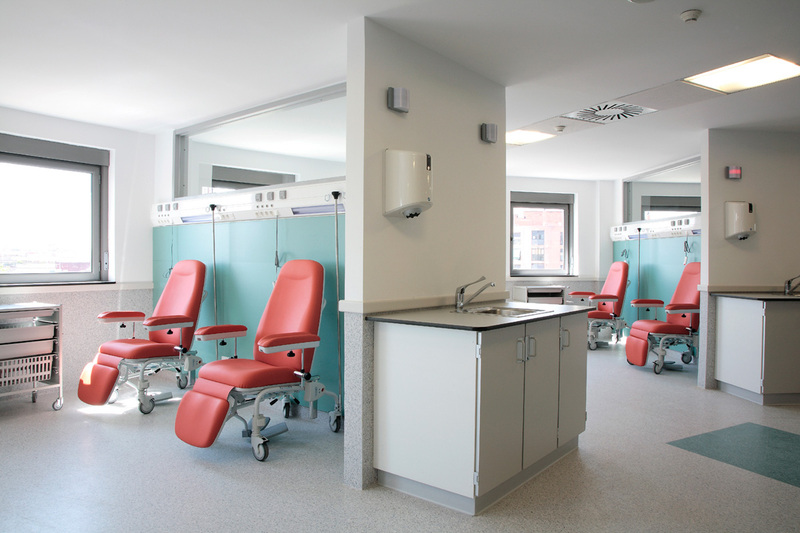 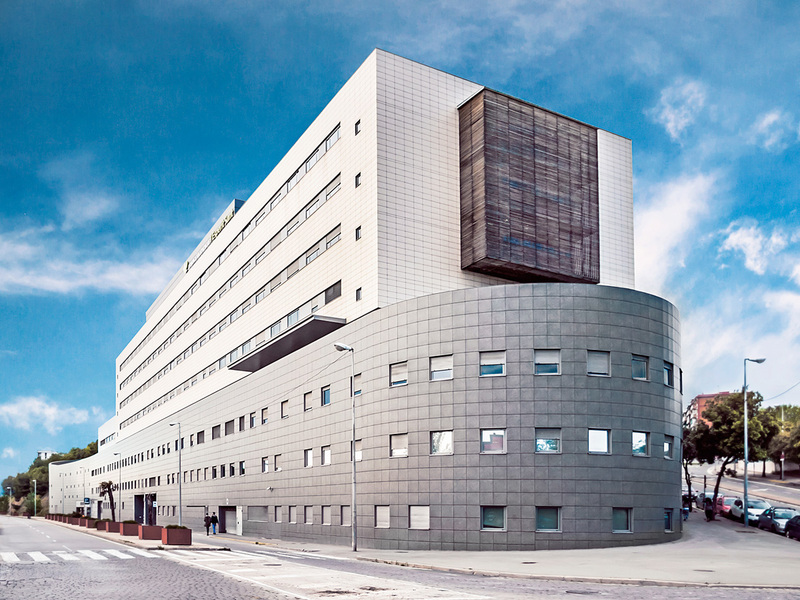 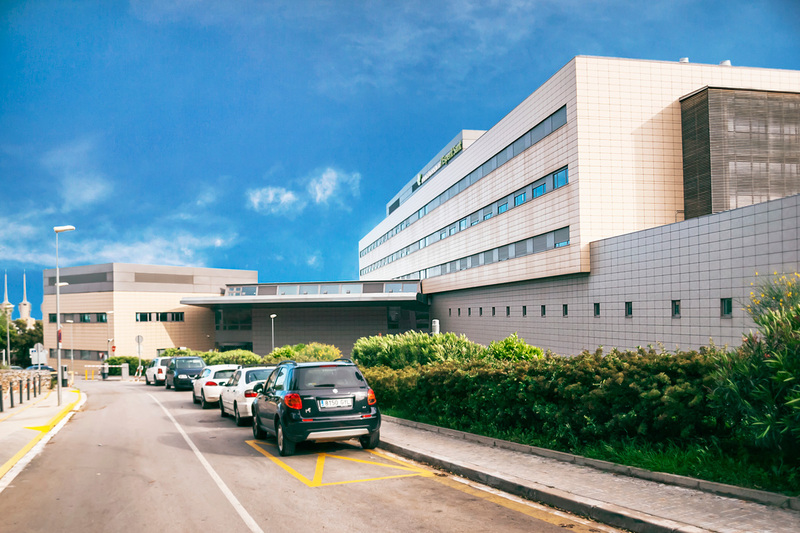 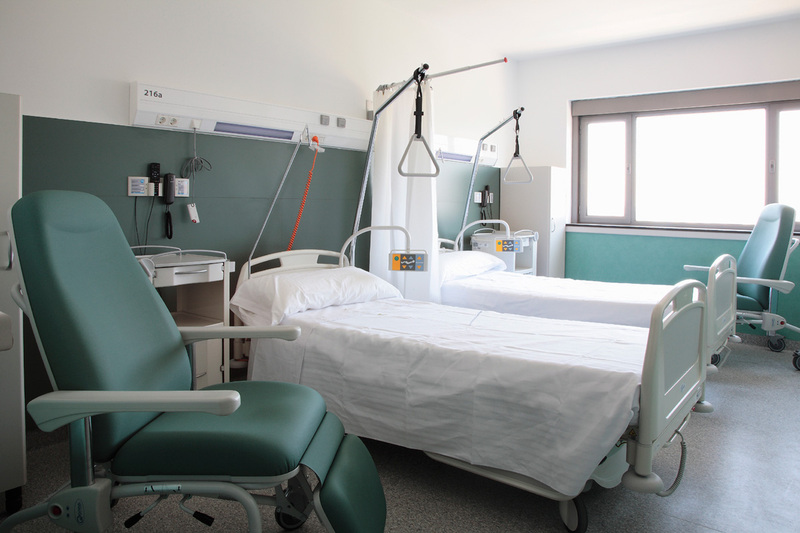 This project was characterized by its rational use of the available plot without interrupting existing hospital activities during construction, functional organization, structuring of circulation, and separation of outpatient and inpatient activities. 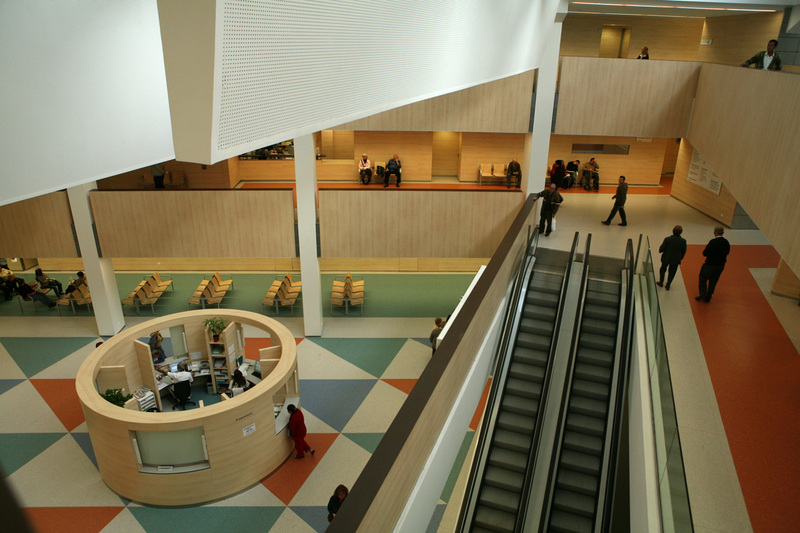 The new building is connected to the existing hospital wards by an underground tunnel.